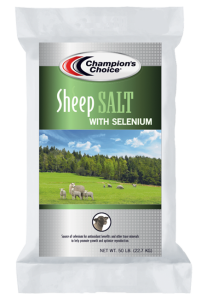 Feed this supplement free-choice to sheep. Consume option should be 1/4 ounce per head per day to provide the proper amount of selenium. Limit consumption of this salt if overconsumption occurs. Provide an adequate supply of fresh water at all times. Ensure that average daily roughage meets required levels. Salt, Zinc Oxide, Iron Carbonate, Calcium Carbonate, Manganous Oxide, Red Iron Oxide, Mineral Oil, Sodium Selenite, Calcium Iodate, Cobalt Carbonate, and Anise Flavor. 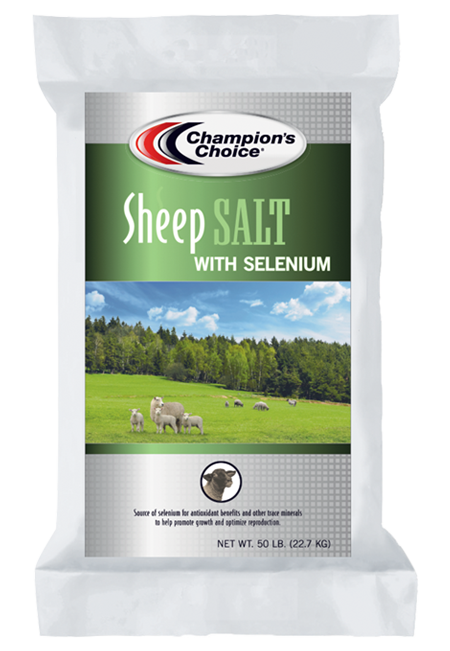 What are the symptoms of selenium mineral deficiency in animals?